Should I Drain My Pool In Advance of a Hurricane? Thank you for your inquiry, Bekki, and we hope you and everyone else potentially in Hurricane Irma’s way the best of luck and safe travels. Should you drain your pool before the storm? No. You should NOT drain your pool. If you have a concrete, plaster or fiberglass pool draining the pool will significantly reduce the pool’s weight and once the ground becomes saturated, as typically happens during hurricanes and continued torrential downpours, the pool could ‘float’ vertically out of the ground. If you vinyl liner pool draining the pool will significantly reduce the amount of water weight in the pool and once the ground becomes saturated, as typically happens during hurricanes and continued torrential downpours, not having enough down force pushing down on the pliable liner will allow water to push upward creating pockets or blisters on the pool’s bottom and/or walls. Draining pool water too far and allowing normally submerged surfaces to get exposed to the air may result in vinyl becoming brittle and other surfaces cracking or suffering other forms of damage — especially if exposed for periods of time greater than one would need to perform normal repairs or maintenance work. Turn of the power to the pool area (including pumps, motors, lighting, etc.) from the circuit breaker. Remove and safely store diving boards, slides and other exposed swimming pool hardware if possible. If you have a gas heater on your pool, safely disconnect the gas line from the heater and see if you can have your gas company discontinue service until the storm passes. Relocate or seal as best you can pool pumps and motors if flood waters could possibly reach them. Store all patio and pool furniture indoors. “Shock” your pool before leaving to discourage algae growth and deter insects from turning your pool into a breeding ground. Will Water Test Strips Last Longer if Refrigerated? Believe it or not, we have heard this question quite a few times in recent years. It generally costs less to purchase water test strips by the case or in bulk so a person wanting to extend the shelf-life of their inventory of testing supplies makes total sense… except for one small problem: Manufacturers use the stated shelf-life of products as the ‘last date at which they will guarantee product performance’ and no storage method will cause them to extend that date (for legal reasons). Keep all unused bottles sealed tightly. Keeping environmental moisture (humidity) away from the test strips helps to prevent premature decomposition of some chemical reagents. Make sure storage conditions remain dry (i.e. no water and low humidity) at all times. It would SURPRISE you how many people do NOT keep their testing products out of potentially wet environments. Do not store products in direct sunlight. Heat and UV rays accelerate the decomposition and/or degradation of chemical reagents. Keep temperatures in the range specified by manufacturers. We suggest keeping products at the lower end of the temperature range. Do NOT allow storage temperatures to fall below freezing as this could also result in the degradation of chemical reagents. And finally, if you have the ability, run controlled experiments pitting known good (in date) strips against technically expired strips to see how the results from each compare. Again, the expiration date on a package of test strips represents the absolute last day that the product’s manufacturer will guarantee the product’s performance. Example: Exp 8/2020 means the product is guaranteed to perform as expected until the last day in August of 2020. As far as refrigerating test strips to lengthen shelf-life, no manufacturer we know of would go on record as suggesting that… and we suspect that not all test reagents would take kindly to colder temperatures and/or have their shelf life made longer by colder temperatures. Although many parts of the country have recently received enough rainfall to replenish reservoirs, lakes and streams to pre-drought levels, some areas still have drought warnings in effect and whether in a drought or not, the following simple pointers will help to keep your pool water where it belongs and the environment free of pool chemicals. First of all, repair any and all visible leaks right away. Even the smallest leak point can result in large amounts of water leaving a pool… and depending upon the location of the leak that runaway water could potentially erode the ground under your pool causing all sorts of other problems. Should your pool pump’s operating pressure rise by about 10 psi (pounds per square inch), clean the filters elements (fingers, cartridges, etc.) or backwash the system. Take care NOT to allow wash water or backwash water to run into a storm water drain, stream or other natural body of water. Warmer water will evaporate faster than cooler water so keeping your pool water temperature around 78 degrees Fahrenheit will make it pleasant to cool off in and less likely to evaporate. Increased wind over a pool’s surface also increases the evaporation rate so if possible, plant trees and shrubs around the pool to protect it from blowing winds. Just make certain not to plant anything that drops leaves, berries or other things that would wind up in the pool. Use of a solar cover to insulate the water in the evenings will help to reduce evaporation. Worried that you can’t get the cover on and off? Solar cover reels install easily on most pools and make moving solar covers easy enough for one person to do the job. In short, swimming pools offer a wealth of fun in the sun (and after dark if the temperature stays right!) and keeping them running right and doing our best to reduce water loss comes as part of the package. Another part of the package involves safe, responsible use and disposal of the chemicals used to keep pools operating safely and cleanly. Have FUN in the pool, definitely, but try to keep the water and chemicals where they belong: In the pool. As soon as water mains break or some other ’emergency’ gets declared by your local water company or water utility, those companies notify the media and ask them to announce boil water advisories for affected areas… but what does that mean to the average person? Dispose of ice cubes and do not use ice from a household automatic icemaker until authorities give the all clear notification and you have purged your home’s water lines and the water line leading to the icemaker. Disinfect dishes and other food contact surfaces by immersion for at least one minute in clean (boiled) tap water or bottled water that contains one teaspoon of unscented household bleach per gallon of water. Note: The more ‘gunk’ a surface has on it, the quicker the bleach level in your wash water will diminish. Water used for bathing typically does not need to get boiled prior to use however during showering and bathing one should take care not to ingest water. Children should have supervision to discourage accidental ingesting of bath/shower water and persons with cuts, severe rashes or other afflictions of the skin should consult their physician prior to bathing, as unwanted bacteria in the water could possibly enter their body through those areas. If tap water appears dirty, flush the water lines by letting the water run until it clears before using the water. After the all clear notification goes out you should run water from all available taps, faucets and spigots for a few minutes to purge your home’s water system of older, possibly contaminated water. What Triggers Boil Water Advisories? Municipal water systems have a slight amount of pressure in them that forces water out through any available openings in the systems. Usually those openings consist of faucets, drinking fountains, spigots, etc. Water systems do not exist in a stress-free vacuum, though, so over time small cracks, leaks and fissures may form in pipes… and as long as the system remains pressurized no outside matter can typically infiltrate the systems. But, when a water main breaks or some other event causes a pressure drop to occur in the system, the lack of pressure in the system could allow foreign matter such as bacteria, parasites and/or unwanted debris to slip into the system through those cracks and/or fissures in pipes. When that happens, water companies will issue boil water advisories through local media outlets. Once water pressure gets restored and tests come back negative for system contamination, water companies will cancel the boil water advisories. 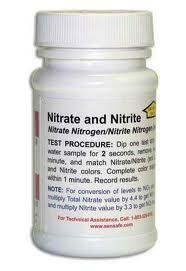 Does Your Water Test Kit Include…. Neither kit includes a tests for Manganese, though. Got larger or more frequent testing needs? If you need to test more than one or two water sources for a range of water quality parameters, you may want to consider either the Well Driller Standard Test Kit or Well Driller Master Test Kit. It is estimated that approximately 1.8 billion people around the world do not have access to safe water. Globally, one out of every three schools lacks access to safe water and does not have adequate sanitation. In low and middle income countries, one out of every three healthcare facilities lacks a safe water source. The World Economic Forum in January 2015 ranked the water crisis as the No. 1 global risk based on impact to society (as a measure of devastation). More than 160 million instances of children suffering from stunting and chronic malnutrition can get traced back to a lack of safe, clean drinking water and poor (if any) sanitation. The deadly combination of water-related diseases (like diarrhea), poor hygiene and lack of sanitation takes an estimated 840,000 lives each year. Rural areas of the world are home to more than 80 percent of people who don’t have access to “improved” water. A third of the world’s population lacks access to a proper toilet. By comparison, fewer people lack cellphones than toilets. Around the world each day, women and children spend 125 million hours collecting fresh water for their families. It is not uncommon for individuals to spend as much as 6 hours a day on the task of collecting fresh water. If you watch a clock for 1 1/2 minutes, a child has died from a water-related disease. Implementing universal access to safe water and sanitation would result in more than an estimated $18 billion in economic benefits EACH YEAR just from the prevention of deaths alone. That would be a return of about $4 for every dollar spent to create the access to safe drinking water that prevented the deaths. If the planet as a whole does not change the (gluttonous, evil) ways it manages water on the planet, the amount of safe water available for use could drop by around 40 percent in the next 15 years. Wow. If that list did not alarm you, then read it and re-read it until common sense kicks in and you feel a chill down your back. Our water situation looks bleak and unless something changes — meaning unless WE make changes — the situation will only get worse. Right now at this very moment some of you reading this are thinking, “I’m so glad that sort of horrible stuff isn’t happening near me.” Well, you’re WRONG because it IS happening near you. 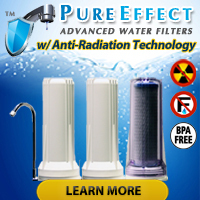 Just ask Flint, Michigan residents, folks living in communities where the water wells started running dry years ago, folks living near coal ash dumps in North Carolina, folks in Texas whose water contains frightening arsenic levels, folks who lived on or near military bases whose fuel depots leaked in ‘secret’ for many years… and the list keeps getting longer. What we do with the water today dictates explicitly how much water we will have tomorrow. In case no one informed you, March Madness has started. For ME it means allergy season has officially kicked off, but for the rest of the country it means millions of eyeballs will become glued to the television watching the nation’s 64 best NCAA Basketball teams battle to the death for the title of #1. So, to celebrate this annual event we would like to offer everyone 10% OFF at either one of our online water test kit stores. Enter discount code MARCHMADNESS at checkout to steal this deal and knock down a game-winning, money-saving 3 point shot! 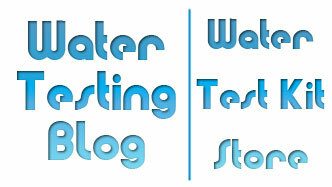 Water Test Kit Store – MARCHMADNESS code valid through end of April!